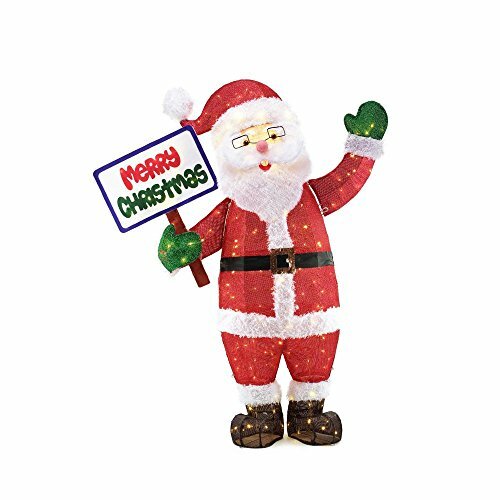 Happily waving and holding a Merry Christmas sign, with 200 clear bright LED lights, Santa is greeting your guests. Made with a sturdy metal frame and durable, weather-resistant tinsel fabric, this charming fellow is easy to assemble and ready to stand guard season after season. Suitable for indoor or outdoor use.